Board meetings are an incredibly important part of the governance process for any corporation. Good, productive board meetings provide a vital opportunity for directors to face incipient challenges and create a strategic vision for the future of their organization. All-to-often, however, board meetings fail to live up to their potential, becoming tedious forums for debating minor issues and reviewing documents that should have been read and digested before the meeting began. Why is this? For many directors, board meetings are a source for much frustration not because they are useless, but because they could be so much better. Governance experts frequently note that only a relatively small amount of board meeting time should be spent reviewing reports and going over minutes. Instead, the agenda should be optimized to provide directors with the maximum opportunity to discuss higher-level strategy and brainstorm effective ways of facing new challenges. But while most directors and board secretaries understand this intuitively, balancing the needs to report on past business with the need to plan for the future is difficult indeed. Evidence has shown that communication problems often lie at the root of underwhelming board meetings. 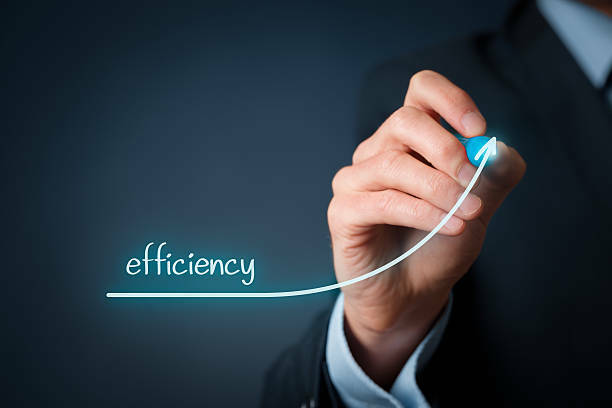 One of the most effective ways to improve board efficiency is to get the most out of the time leading up to the meeting itself. New software tools can help on this front. In particular, board management portals from providers like Aprio can empower boards to share and discuss as much of the board information as possible before the meeting itself. Board portals are a networking and information sharing tool that offers directors the opportunity to access, read, comment on, and discuss the reports, memos, documents, and data related to their board work via a secure app on their tablet or desktop. This not only makes it easier for board secretaries to send out up-to-date board information as soon as it becomes available, it also allows board members to discuss and iron out issues related to routine business before the meeting itself. This greatly expands the amount of time that can be spent on new business and strategic visioning. Also Checkout How to Do Product Research for eBay? Portal software leverages director capacity in two major ways: by providing them with easy access to a wealth of information, and by making it easier for them to network with each other. In the first case, portals offer the best encryption protections available, so even the most sensitive data can be archived for director perusal. In the second, it removes many of the barriers to communication between directors. For those who follow the latest news about board portal software one of the most exciting features of the latest options is its ability to offer members collaborative tools that can help them dispose of as much business as possible remotely. Tools that allow directors to annotate, update, and ask questions about board material make it much easier to continue board work between meetings. A board’s success is essential to the success of the organization as a whole, and a successful board is one that uses its meetings strategically. Insofar as they make it easier to connect and collaborate on board work in the lead-up to the meeting itself, software options like board portals can be a huge asset. By giving directors the opportunity to get routine work done from their tablets or desktops, they ensure that precious face time is spent on the things that really matter.